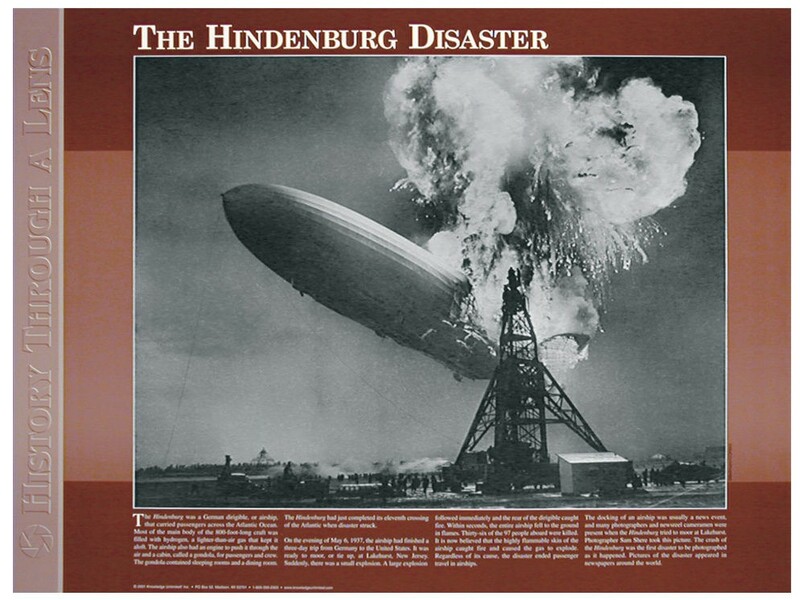 The photo on this poster of the Hindenburg disaster was taken by Sam Shere. The crash of the Hindenburg was the first disaster to be photographed as it happened. 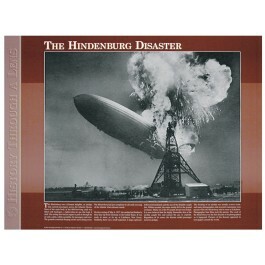 This poster features a large image of the historic photo of the Hindenburg exploding. It also contains text that gives historic background information about the Hindenburg and the tragic explosion.